A stand-up comedian and prize-winning writer, he was the first out comic to appear on The Tonight Show. 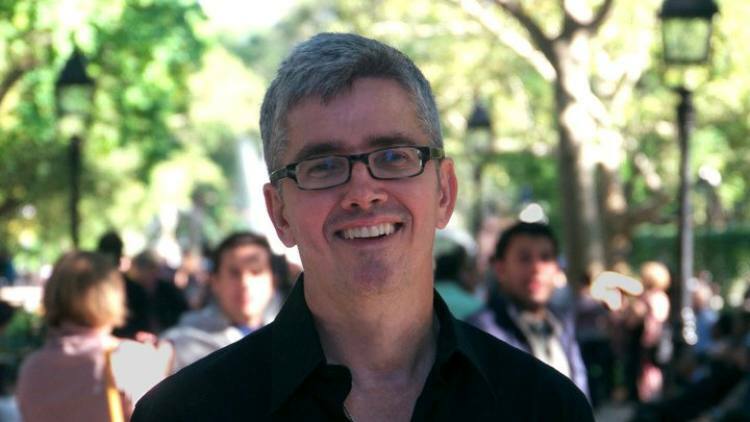 Pioneering gay comedian Bob Smith, the first out comic to appear on The Tonight Show With Jay Leno, has died at age 59. Smith died Saturday of complications from amyotrophic lateral sclerosis, the neurological disease also known as Lou Gehrig’s disease, Deadline reports. His partner, Michael Zam, announced Smith’s death via Facebook. Smith died at their home in New York City. In addition to his groundbreaking appearance on The Tonight Show in 1994, Smith was the first openly gay comedian to have a special on HBO. He appeared on several other TV shows, including Politically Incorrect and The Late, Late Show, and he wrote for programs such as Roseanne, MADTV, and The MTV Video Awards, Deadline notes. He was a prize-winning author, with his essay collection Openly Bob winning the Lambda Literary Award for humor. Another collection, Way to Go, Smith! was nominated for a Lammy, and he also wrote the novels Selfish and Perverse and Remembrance of Things I Forgot. He was a contributor to The Advocate and Out, and his writings appeared in numerous anthologies. A final essay collection, Treehab: Tales From My Natural Wild Life, appeared in 2016. He wrote it on an iPad, using only one hand, as his other was disabled by ALS, according to The Hollywood Reporter. A native of Buffalo, N.Y., Smith began making his mark as a comedian in New York City’s Greenwich Village in the early 1980s. He initially became famous as a member of the Funny Gay Males trio, with Danny McWilliams and Jaffe Cohen, the Reporter notes. They performed at the 1993 March on Washington for Lesbian, Gay and Bi Equal Rights and Liberation and appeared on Joan Rivers’s syndicated daytime talk show, making them the first openly gay comedians on national television. Smith is survived by Zam, the cocreator, with Cohen, of the FX miniseries Feud: Bette and Joan; his children, Madeline and Xander; his mother, Sue Smith; and his brothers, James and Gregory.